The Canby Ferry is not only a valuable commuter asset it is also a heritage asset. Willamette Falls Heritage Area urges all our friends to encourage Clackamas County to Continue to operate the Ferry for both its transportation and its heritage value. As we approach our National Heritage Area designation the Ferry is an integral part of our upriver Heritage story – a story that needs to be protected and continued. WFHAC wrote a letter of support to our Clackamas County Commission. DOWNLOAD A COPY OF THE LETTER HERE. We encourage you to add your voice to ours. Support the Canby Ferry! The Canby Ferry is a piece of Oregon history, but it’s also costing Clackamas County about $400,000 a year. The county is trying to figure out if it can make up the difference. 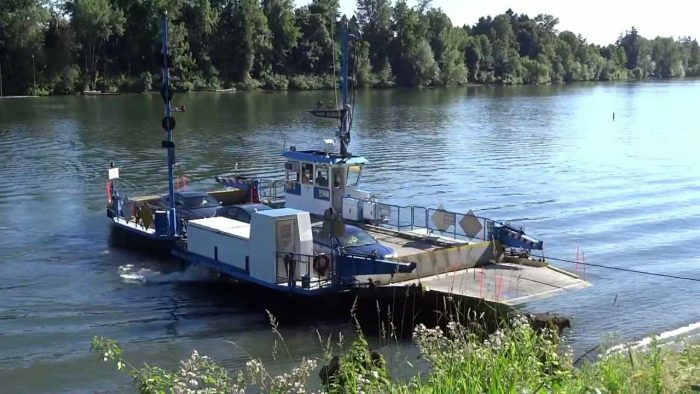 The Canby Ferry will celebrate its 105th anniversary in July, but it may not celebrate many more as the Clackamas County Board of Commissioners struggles to decide how to keep it afloat with lacking revenue. The ferry, which runs across the Willamette River from Canby to Wilsonville, is one of the last three ferries in the state.